‘Tis the season for travelling – and to keep things light and easy – I’ve got a skincare recipe for you that travels well! It’s called gel-oil, it’s a multi-tasking product that promises to keep your toiletry bags packed light – and your skin glowing! Truth is, since we moved to Bali almost a year ago (what!?) we haven’t really traveled that much. We kind of don’t want to leave our villa. We worked so hard to get here, that now most weekends we spend at home, like it’s a vacation rental! But, on occasion I do fly to Singapore to host workshops – and since I’m usually on my own for that – I really want to travel light. Because who wants to haul around a heavy bag? For me, I’ve noticed that the heaviest things tend to be the toiletries. I like to bring all of my own products because I don’t love using the hotel’s offerings. I used to love them. I’d gather up all the tiny bottles of soaps and lotions and bring them home and stuff them my cabinets like a little squirrel… but I’ve happily evolved – to stashing packets of jam from the hotel buffet. Ha! So for travelling light – bringing multi-use toiletries has really helped to lighten the load. If one product can replace several other products then we just won’t need to carry as much. And that means our shoulders won’t ache, lugging around a big mess of a heavy bag! I’m excited to show this recipe to you – it’s going to serve you well at home, and on the road! Today, for our Travel Skincare recipe we’re making gel-oil. I shared a very similar recipe about two years ago, and it’s been really popular – but since then I’ve tweaked the recipe and I think made it even better :) Mostly to make it travel better! What’s gel-oil? It’s the best! It’s like a gel lotion, made of just two ingredients: aloe gel & oil. Which means we get lots of hydration and we get lots of moisture. And that aloe gel is such an amazing ingredient for your skin – I’ll tell you more about that too! 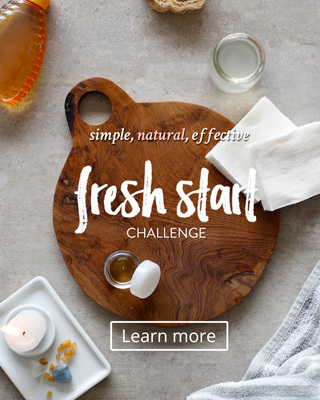 You can make this to use at home, keep it in your purse to use throughout the day… but also its amazing for travel skincare – because its multi-tasking and can replace other products from your toiletry bag. In the morning when you wake, you can spritz this all over your face to freshen up your skin. You can also spritz throughout the day! Aloe is a very good base for under makeup! Spritz all over from head to toe. The aloe works to hydrate your skin and the oil will lock it all in! Let’s talk about aloe, because it really is the star here! Aloe is such a handy ingredient to have in your pantry to make natural skincare with – you can use it as a base for a toner, a moisturiser or to activate a clay mask. It’s a natural moisturiser that hydrates your skin. You can use aloe gel directly on your skin to soothe a sunburn or rash, to reduce inflammation and promote healing. A lot of people at workshops ask me if they can use aloe from the plant, which you can – but fresh aloe only lasts 3 days in the fridge. If it’s a one time treatment you’re making, then fresh aloe is fantastic! But for products that we want to travel well, a store-bought aloe is the way to go. So how do you choose the right brand? Most aloe gels that you get in the sun-tanning section are far from the real deal. They’re loaded with ingredients you don’t want or need, and you just won’t get the same skincare benefits from using them. That said, natural store-bought aloe gel won’t be 100% pure either. If you read the ingredients, you’ll notice it usually has an added thickener, often seaweed called carrageenan. And, it will have a stabiliser and preservative, usually citric acid and potassium sorbate. I like to buy aloe gel sold for consumption, so that the additives are food grade. I think this is the best choice – you get the benefits of a good quality aloe gel, with the longer shelf-life. Start by choosing your bottle. I like using a spray pump bottle, but you can also use a dropper bottle. I snapped a photo of the dropper, so you could see it – but for this recipe, I chose to use the spray bottle because I love the way you can spray from head-to-toe so easily! I’m loving sunflower oil, but you can use almond or avocado oil. At this point too, you might want to add in essential oil, so it smells lovely on your skin! and then give it a good mixing…. transfer it to your bottle – and we’re basically done! Remember I said water rich aloe and oil won’t combine – all you need to do is give the bottle a good shake to combine right before you use it! To use it: simply spritz it right on your skin and pat it in, it will soak right in. The aloe gel will hydrate and nourish your skin. The oil will seal it in and leave your skin super soft and well moisturised! There you go! Gather up the ingredients and make it – you’ll want to bring it with you everywhere you go! This product will last 2 weeks, since the aloe gel has it’s own preservatives and the essential oils help to preserve as well. 1 tablespoon nourishing oil: almond, avocado, sunflower..
Hope you like this idea and give a try! I’d love to know: what’s your travel must-have essential product? Let me know in the comments below! 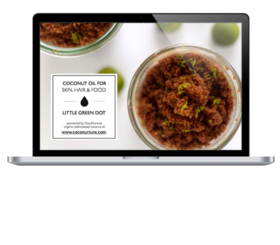 ps – if you are starting off with natural skincare making, you might want to check out my online workshop Simplify Skin – it’s loaded with lessons, recipes and you get life time access to all the resources! Oh this is great!. I’ll be travelling tomorrow and think how I can pack as light as possible. I’ll make this tonight. Yay! Perfect timing :) Let us know what you think! I usually bring all my facial care like cleanser, toner, moisturiser and sunblock. And sometime serum. As I have quite a combination skin. Maybe i can give this a try. Awesome Rosmariani – let us know what you think! That’s almost exactly what I’m using as my moisturiser now! My must-have travel essential is a good rich moisturiser which will prevent my dry sensitive skin from cracking… but haven’t found my magic solution yet though. Btw how do you prevent the aloe pulp from clogging up the bottle? Hi! Yes a nebulizer is fantastic – it does need to be cleaned more regularly and from what I’ve read, it can’t diffuse viscous oils like sandalwood or ylang-ylang -but you get a much more potent therapeutic effect with a neubilizer.